One of the big arguments for using rainwater vs. city water on your plants is the effect of chlorine. Rainwater, as you might imagine, contains nothing harmful to the plants (it's what nature intended for them) while city water has Chlorine, a bacteria killer that sometimes kills the bacteria the plants need to flourish. However, there is much debate about this and the studies don't all agree. 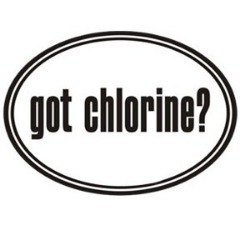 Some say a little chlorine is OK while others say there are plenty of chlorine sensitive plants out there. Where general consensus occurs is that for young plants, distilled water (or pure rain) is preferred for optimal growth. In our view, this means that collecting rainwater is a must for your average gardener because rainwater can help your seedlings get a good start. Even if you live in California where it stops raining in May, its worth using rain in the beginning to set the stage for a good harvest.